Please also see ON TOUR: The Far North – Norway and Russia part 2 and the CRUISING archive. 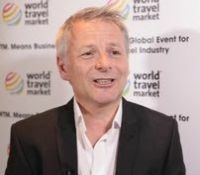 European river cruises, which account for almost 90% of bookings, were the driving force behind this exceptional growth. Cruises in central and western Europe, accounted for almost two-thirds (62%) of all river cruise bookings, with the Rhine and Danube leading the way. However, it was eastern and southern Europe which saw the most growth last year, predominantly on Russian waterways and on the Douro. Looking outside Europe, three rivers accounted for the bulk of passengers in 2017 last year; the Mekong, Nile and Irrawaddy, with the Ganges and Brahmaputra also performing well. In the weeks leading up towards the end of the year the continent is very much into Christmas Fairs, those towns and cities with the major rivers running through them even more so. Here follows a selection on what is on offer. AmaWaterways is offering a rare opportunity to enjoy an unforgettable cruise experience hosted by co-owners Rudi Schreiner and Kristin Karst, adding to all the normal activities and facilities offered by the company topping Douglas Ward’s “River Cruising in Europe”. Guests will have the opportunity to meet Rudi or Kristin, hear their personal stories and learn what is on the horizon for this innovative company. Without fear of being left at the next stopping point you can make your own suggestions to either or both of the people who actually make decisions. The seven-night ‘Danube Serenade’ cruise will depart from the medieval city of Nuremberg and cruise along the legendary Danube River, visiting beautiful cities and towns in Germany, Czech Republic and Austria, ending in Vienna where the renowned Christmas Markets will have just opened. Rudi will be joining the AmaCerto on the 17 November departure, while Kristin’s cruise will depart on AmaSonata on 18 November. Both Rudi and Kristin will make a special guest appearance on the other’s Founder’s Cruise. Both trips cost from £1,999 per person including return flights and transfers. All AmaWaterways voyages include full board, drinks with meals (including wine and beer), a choice of excursions and unlimited wi-fi. Crystal is quickly building up a reputation as a top quality river cruise operator as befits a company renowned for its deep sea product. A seven-night ‘Danube Christmas Dreams’ cruise from Vienna to Budapest that includes visits to Christmas Markets in Vienna, Salzburg, Bratislava and Budapest as well as a visit to the beautiful Gottweig Abbey in Krems, a hands-on lesson in preparing the world-famous Linzer torte, a guided tour of Melk including a visit to Baroque masterpiece Melk Abbey and a wine tasting at the boutique Etyek winery which produces some of Europe’s finest wines. The cruise starts with an overnight in Vienna on 6 December and visits Krems, Spitz, Linz, Melk and Bratislava before finishing with an overnight in Budapest. The cruise takes place on Crystal Ravel, one of Crystal’s four Rhine Class vessels that are the river cruising industry’s first and only all-suite, all-butler vessels in Europe, with every category of accommodation positioned above the water line. Fly cruise prices start from £3,343 per person based on two sharing a Petite Suite including all meals and drinks onboard, gratuities, a choice of shore excursions in each port, return scheduled flights and overseas transfers. Croisieurope has a trip that starts on 27 December and includes New Year celebrations. Unlike other operators the tour does not include the air fare. The cruise is round trip from Strasbourg and visits Cochem, Bernkastel, Koblenz, Rudesheim and Mannheim or Speyer. Highlights include picturesque Bernkastel, historic Koblenz, cruising along the romantic Rhine past numerous castles nestled among the famous vineyards as well as past the legendary Lorelei Rock and New Year celebrations onboard. The cruise takes place on the MS France with cruise only prices from £1,124 per person including all meals and drinks onboard and port fees. Emerald Waterways has a real star on board Star-Ship Emerald Destiny for an eight-day cruise departing 1 December Nuremberg – Budapest. Mary Berry, national treasure and cooking extraordinaire, is joining the ship for what promises to be a wonderful river cruise through the heart of Europe. Widely revered for her six years co-hosting the BBC’s “The Great British Bake Off” Mary has also published more than 75 books whilst cementing herself as one of Britain’s most recognisable cookery talents. Included is a guided tour of Passau exploring the old quarter’s narrow, cobbled streets – which will be alive with Christmas lights – and the hilltop Oberhaus Fortress and the glorious baroque cathedral of St Stephen’s, home to Europe’s largest church organ. Durnstein, one of the most enchanting villages in the scenic Wachau Valley, a World Heritage Site is a stop and so is Vienna, with the opportunity to enjoy the special food and traditional crafts at its celebrated festive markets. Bratislava is a stop and the trip completes at Budapest on a guided tour, seeing many of the highlights, including the Hungarian Parliament Building, Buda Castle and the Chain Bridge. The day ends with a Hungarian farewell dinner with traditional music and folklore dancing. Prices including air fare start from £1,795. Fred Olsen and MV Braemar are not usually associated with rivers trips but a sailing from Southampton on 3 November really does count, with a Channel crossing thrown in. The lovely River Seine will be the route into two inspirational French destinations on this invigorating five-night break aboard the 929-passenger liner. Guests will sail 60 nautical miles of the Seine into historic Rouen, where they will have time to marvel at the city’s spectacular architecture or join a romantic evening tour to Paris during an extended two-night stay; then enjoy a relaxing journey along the river to charming Honfleur at the head of the river. Stopping overnight will offer time to explore this very pretty little town at leisure before returning home. Prices start from £599 with no single supplement on certain grades. Scenic is the upmarket sister company to Emerald and offers butler service and a complete all included package. The Newmarket, Australia, based operator has a seven-night Rhine trip, Basel to Amsterdam beginning 12 December taking in some of the most attractive towns and cities along and near the “waterway of Europe” at a time when pre-Christmas shopping fairs and their musical accompaniment are at their height. Prices start at £2,440. BTN highlights a guided tour of Strasbourg, where you will discover La Petite France and stroll through the Old Town, with its half-timbered houses and distinctive Alsatian restaurants. During your free time you might wish to explore stalls of Strasbourg's Christkindelsmärik, one of the largest Christmas markets in Europe. Heidelberg is on the itinerary, the town of “The Student Prince”, including a visit to its fine Renaissance castle. At Rüdesheim Scenic clients will board the Winzerexpress mini-train for a guided visit of Siegfried’s Mechanical Musical Instrument Museum. Marvel at the spectacular World Heritage-listed Rhine Gorge, before arriving in lovely Koblenz and on to Cologne, finishing with an overnight in Amsterdam. Viking River Cruises is now 20 years old and has a fleet of 62 river vessels and six ocean ships, offering passage along the rivers and oceans of North and South America, the Caribbean, Europe, Russia, Egypt, China and Southeast Asia. It is promoting “Danube Waltz” Starting 17 October. The following is from Viking’s promotional appeal. “Soak up soothing steam at a Budapest thermal bath. Learn to waltz at a Viennese dance school. Savor Austro-Hungarian cuisine in Vienna and Budapest. Admire the Wachau Valley’s beauty from your Viking Longship. Explore lesser-known Central European cities like Bratislava. Witness daily life in an abbey on an exclusive visit to Göttweig. This 8-day itinerary reveals the highlights of Budapest, Bratislava, Vienna and Passau, while cruising leisurely through spectacular scenery”. Prices start at £2.945.